Howard Yegendorf & Associates has been in the Ottawa area for nearly 20 years. 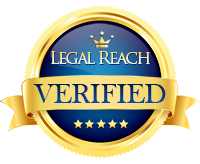 We have built a strong reputation in the Ottawa area and are known mostly through word of mouth from clients and lawyers in the field. Because we receive referrals from outside of Ottawa, we are now expanding into Kingston. Our lawyers can meet with you in the Cataraqui or wider Kingston area, or wherever it is convenient for you. At Howard Yegendorf & Associates, our personal injury lawyers have experience with many types of injury claims. We have spent years studying the litigation process and navigate well through the modern day litigation system, regardless of which of these two early settlement heritage areas you are located in. Through referrals, we regularly deal with many cases in the Kingston area, located in Eastern Ontario. Our lawyers will meet with you in Kingston to provide an initial free consultation. We will listen closely to your account of the accident, review the facts, and inform you of your legal rights. We will also provide a professional opinion about the strength of your case. Once we have a retainer agreement in place, we can begin acting for you. With your consent, we can request your medical records and obtain investigative reports for medical evidence and communicate with your insurance adjuster directly. Call us at Howard Yegendorf & Associates to inquire about services from our personal injury lawyers. In addition to providing injury lawyer services in Kingston, we serve residents west of Kingston, in the Toronto area. Call us at 1-866-303-5118 for your free consultation.